We like to keep it old school with booze! Our bars offer a wide range of beer, cider wine, spirits and cocktails all served in red party cups. Check out cocktails like Ribena Turner and Hotling Ting, garnished with your favourite childhood treats such as party rings and fizzy laces. Loser buys the drinks! Grab a snack from the main bunker bar! 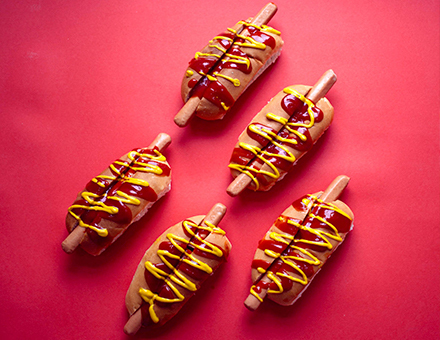 We serve fairground style hotdogs, salted caramel popcorn and more! Check them out on our drinks menu.